It is said that more than 10,000 oversea tourists visit to Tsukiji every day, but there are still some places that only local loves to visit. 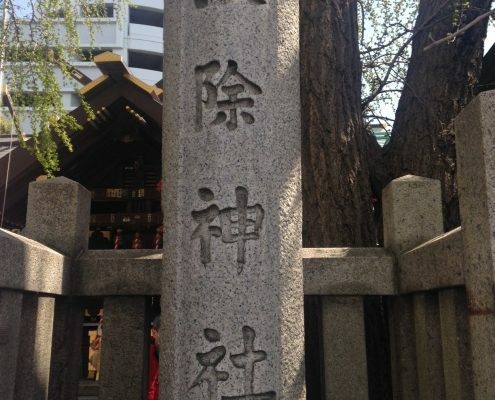 Namiyoke Inari Shrine, next to Tsukiji fish market, is known as a place to pray for protection from sea disasters and bad luck, business prosperity, and the safety of construction work. 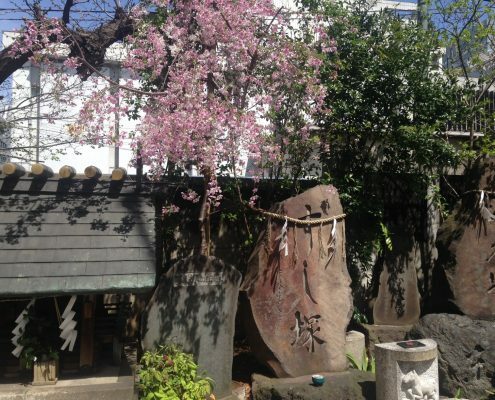 Grave of Sushi (Sushizuka) is a monument to the souls of all the fish whose lives supply Japan with Sushi. 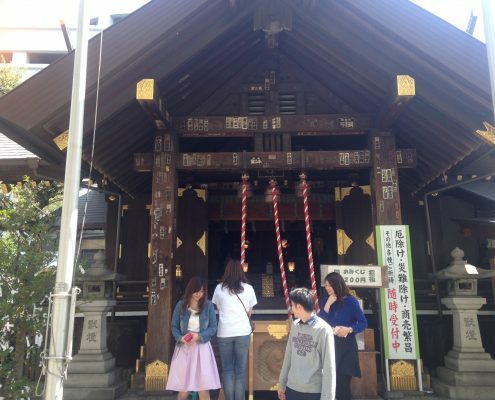 Many of those who will start new sushi business, they visit this shrine to pray for big success in Sushi business. I took photos in April 2017 with Sakura Blossoms.